ANTONIA ALLEGRA writes her life through poetry. She lives in a treehouse in Napa Valley. A professional culinary coach, she is dedicated to working with food and wine professionals regarding their writing and their careers. She coaches starters and stars, having influenced the creation of more than 200 books, columns, blogs, etc. She is a wine/food/travel writer and international speaker as well as teacher. She founded the Symposium for Professional Food Writers and the Symposium for Professional Wine Writers at Meadowood Napa Valley. She helped launch La Cocina que Canta culinary center at Rancho la Puerta in Tecate, Baja California. She co-founded the Culinary Coaches and Consultants Collaborative and other culinary communities. Toni authored "Napa Valley: The Ultimate Winery Guide," printed to a fourth edition, as well as the "Napa Valley Tour Guide" and the "Wine Country Deck." 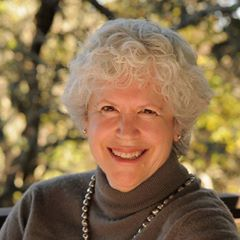 Toni was founding editor of Napa Valley Tables, Appellation and VINE Napa Valley magazines, award-winning publications. Leadership skills led her to presidency of International Association of Culinary Professionals and the San Francisco chapter of Les Dames d'Escoffier. During the 80s, she was food editor of the San Diego Tribune and culinary director of the Beringer Vineyards School for American Chefs, working with Madeleine Kamman. Her extensive culinary training took place in and near Paris during the 70s and 80s, and continues ever. Antonia has received accolades and awards from culinary organizations.